Housse hyper pratique si on ne peut pas nettoyer à fond les roues avant de revenir du golf. Easy to imposition, good waterproof fabric and quality finish. Looked tricky to fit but was incredibly easy also stops all that annoying mud and grass getting all over you car. Durable and easy to put on and take off. Keeps your car boot clean and tidy. Excellent product. Practical when the trolley is dirty. I got one for free, so therefore it is nice to have, but i would never had spent that amount of Money for it. 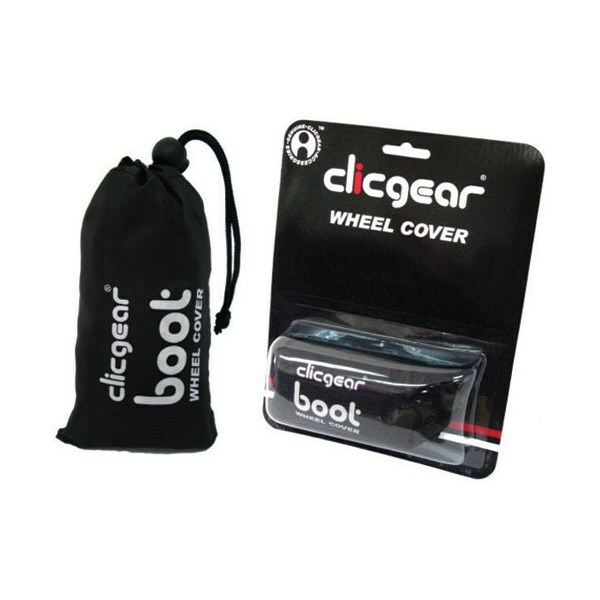 An extremely useful accessory for all Clicgear users. 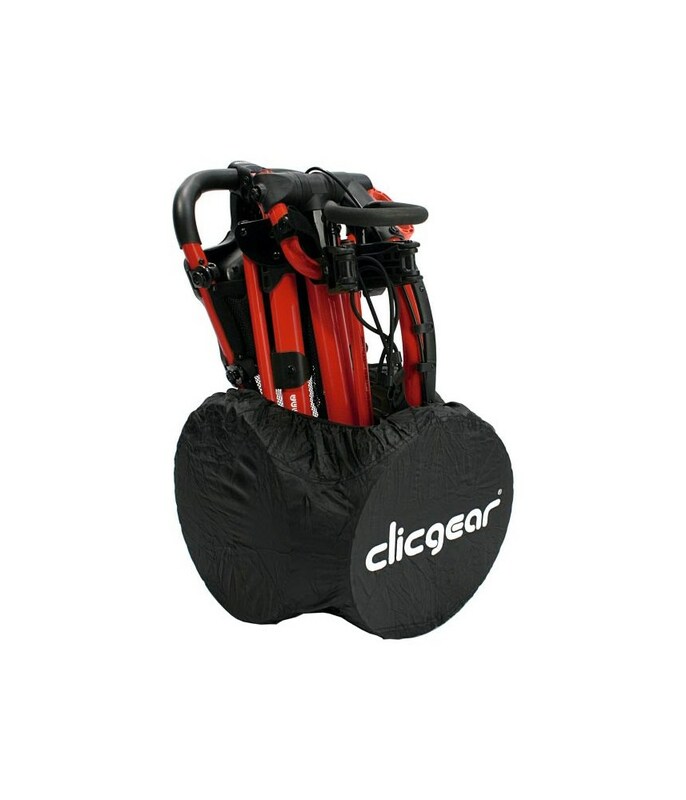 It is very easy to put the wheel cover onto to the wheels of the folded trolley, and that allows you to put the trolley anywhere in your car without having to worry about any dirt from the wheels. Just strap it over one of the wheels on the side, then wrap it over the center wheel and then fasten it to the wheel on the other side, so that it stretches over all three wheels and covers them. Also, when storing the folded trolley at home, no dirt will be left in your basement or wherever you put it. And it looks extremely smart as well. 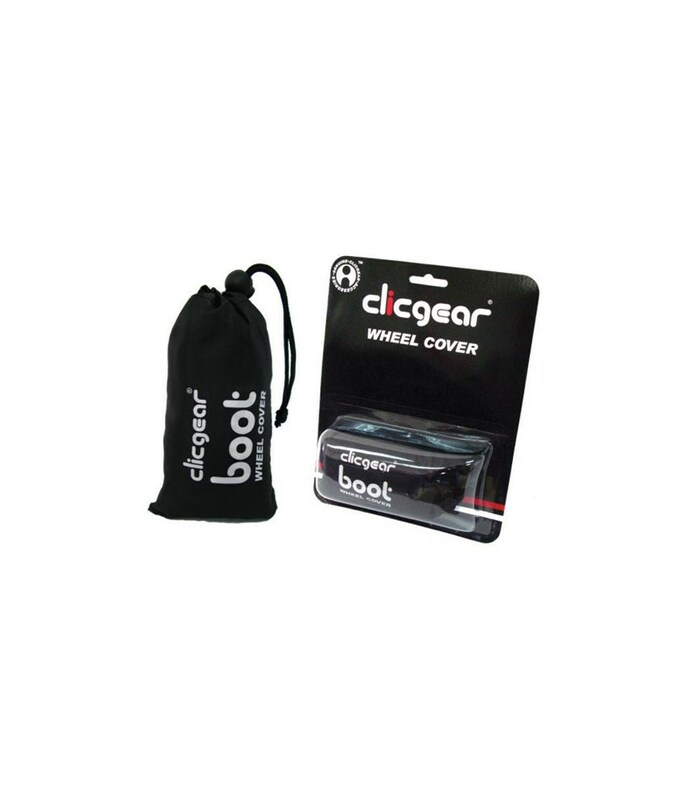 The Clicgear® Wheel Cover is made from Nylon with elastic closure to easily fit over the folded wheels for storage. 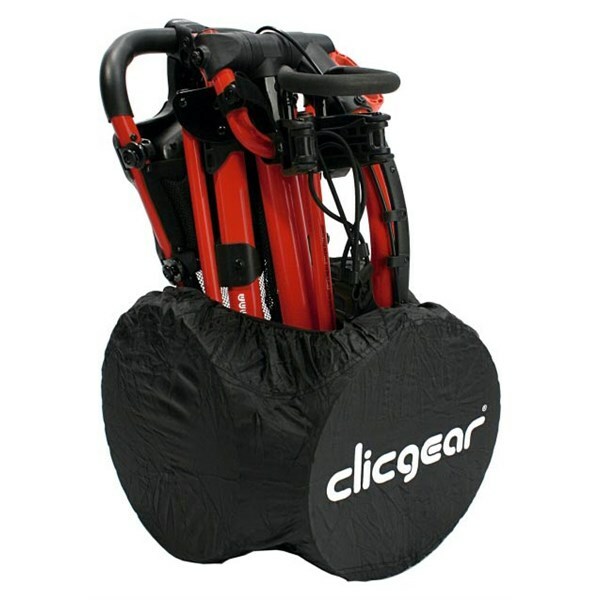 It’s great for off-season storage, or keeping the back of your vehicle clean between games.